Hemolytic uremic syndrome (HUS) is the most common cause of pediatric acute renal failure, and need for renal replacement therapy, affecting between 0.2 and 4.28 people per 100,000 worldwide. Term “Typical HUS” commonly used by paediatricians is referred to be with a preceding prodrome of a diarrhea (D+). Typical HUS representing >90% of HUS cases, and mainly found in childhood. This form of HUS follows gastrointestinal infection with enterohemorrhagic Escherichia coli (EHEC), as a complication of the infection with Shiga toxin–producing bacteria. These patients require adequate care includes intravascular fluid replacement to improve the perfusion of affected organs, primarily brain, gut, and kidneys. Supportive treatment of HUS includes the transfusion of red blood cells (PRBC) and platelets. Antibiotic therapy of EHEC infection is unnecessary as the intestinal infection is self limiting and non-invasive, and antibiotics might encourage bacterial release of Stx and increase the clinical risk of HUS. Shigella related HUS requires prompt therapy with appropriate antibiotics. “Atypical HUS,” indicates a presentation of HUS without preceding diarrhea (D-), is a misnomer. HUS caused by EHEC colonisation, without an antecedent diarrhea is known, and on the other hand, complement mediated HUS is known to be triggered by a diarrheal prodrome. It may be caused by pneumococcal pneumoniae or HIV, complement dysregulation, drugs (quinine, calcineurin inhibitors, chemotherapy), other pathologies (malignancy, systemic lupus erythematosus, and antiphospholipid antibody syndrome), or, rarely, to defective cobalamin metabolism in infants. During the last 10 years, it has become evident that atypical HUS is strongly associated with mutations or polymorphism in proteins implicated for activation or regulation of the alternative pathway of complement with the Factor H heterozygous mutations representing the major cause of such HUS. Defects in the plasma and membrane-bound proteins such as complement factor H (FH) and the FH related proteins (CFHRs), factor I (FI), membrane cofactor protein (MCP, CD46), and recently thrombomodulin (THBD) play a major role in the pathogenesis of this atypical HUS. Anti- Factor H autoantibodies represent a significant etiology of atypical HUS (newly discovered), mainly in preadolescent children, but may also be present in adults. This form of HUS is frequently associated with a particular genetic status consisting frequently of unequal recombination occurring in the CFH family locus. Recent guidelines for initial therapy from the European Pediatric Study Group for HUS recommend starting plasmatherapy as early as possible, within 24 hours of presentation. This is justified by the frequent rapid deterioration of renal function in patients with CFH, combined CFI, C3, and CFB mutations (and the possibility of anti-CFH antibodies). In conclusion, HUS is not a benign disease. Even the so-called “classical” D+ HUS has substantial long-term morbidity. The incidence of Atypical HUS is on the rise, with better understanding of the pathogenesis of the disease. New strategies are emerging including the exciting response shown to Eculizumab by the patients with EHEC 0104:H4 epidemic in Germany and Europe. More newer therapies are urgently needed for this devastating disease. 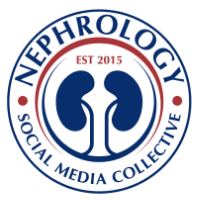 Dr Sethi is a well known Pediatric Nephrology blogger from Delhi, India.